Golden Ring Co-op is a sprawling delight on the East side of Baltimore County. This 3-story, 154 unit senior community is laid out with four wings of comfortable and spacious units for independent seniors aged 62 and older. Golden Ring Co-op is nationally recognized as “A Community of Quality” by the National Affordable Housing Management Association. The property was completed in 1993. 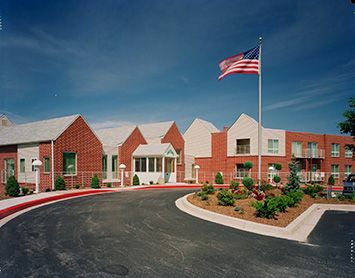 Resident members embody the spirit of cooperation by living independently and volunteering together. The community room, complete with flat screen TV and professional bingo board, is adjacent to the game room which has a pool table and shuffleboard table. Members enjoy the recreational activities inside the co-op as well as outside the co-op as the Travel committee’s excursions to places near and far provide a great source of entertainment. Golden Ring is conveniently located off of Pulaski Highway, a major Baltimore County artery. It has suburban comfort but is merely minutes away from the Baltimore Beltway, I-95 and Baltimore City. Golden Ring is affordable for everyone. The co-op even accepts housing vouchers from members who have them. So don’t delay! Your new home awaits! Golden Ring Co-op is proud to be recognized as a NAHMA Communities of Quality Corporate Partner. This designation is for multifamily properties that have achieved a high standard of excellence in the way they are managed, the services they provide residents, the experience and training of personnel, and other criteria.